And so Mr. Bourdin, this is why my sauces at the moment will taste bland and anything but creamy compared to yours. Most recipes and certainly all those that I am considering attempting for Saturdays dinner, start with cooking something in butter. Oh glorious butter. You, like my good friend Salt, make everything taste better from bread to potatoes to little cheese crackers. But of course butter being a refrigerated item and the pound shops distinct lack of a fridge mean that I will have to think of a crafty alternative to butter. What I need is something that I discovered in Kenya last year. 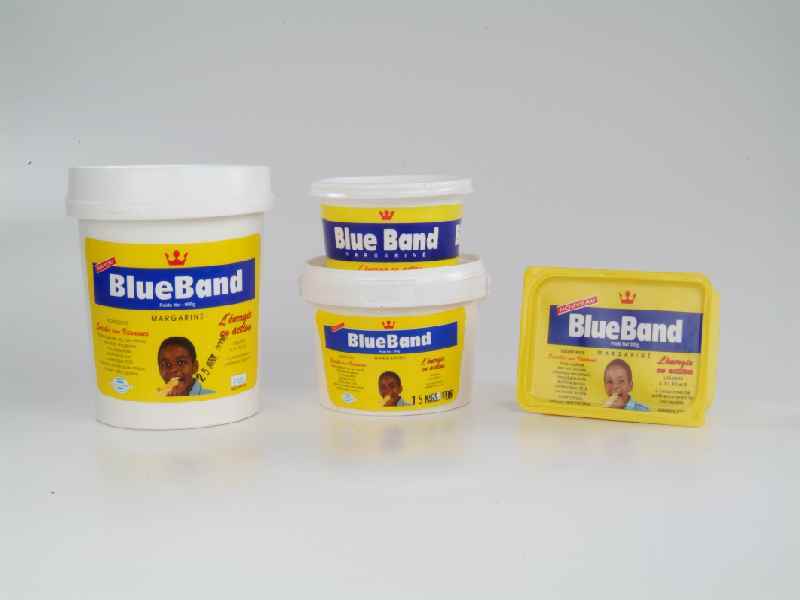 Blue Band margarine. Whenever I travel abroad, one of my essential trips is to the local supermarket to stock up on nice food to take home. I’m always on the lookout for new and unusual things to try. In Italy it was anchovies (so much better than those you can buy here. Who knows why? ), In Spain it was a new type of goats cheese. In America it was Lipton’s Onion Soup Mix (to mix with sour cream and make the best dip in the world). So on my scouting trip in a Nairobi supermarket I spotted an entire six shelves dedicated to various sizes of margarine. I was fascinated as doesn’t this stuff have to be in a fridge? Apparently not. Made by Unilever it has been developed to maintain its consistency even in the hottest of temperatures. Described as ‘the perfect household magarine’, it is a deareated and a nitrogen entrapped fat which it means it doesn’t have to so much as wink at a fridge. Something like that can only mean bad things for your health surely. But oh could I do with some of that bad boy come Saturday….